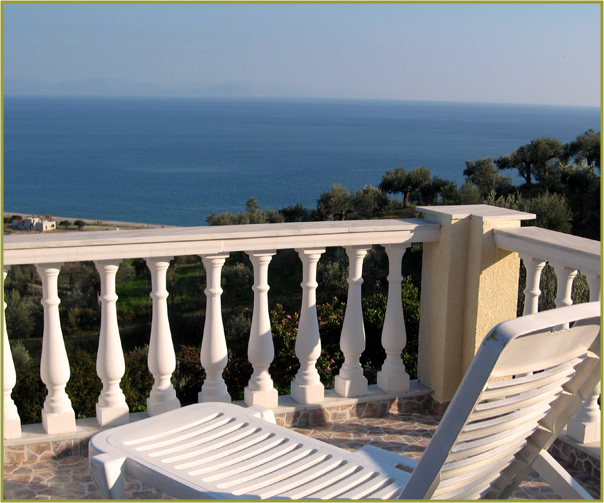 Now you can be a part of the magic by taking a holiday at Villa Dáfni in Gythio, Greece. 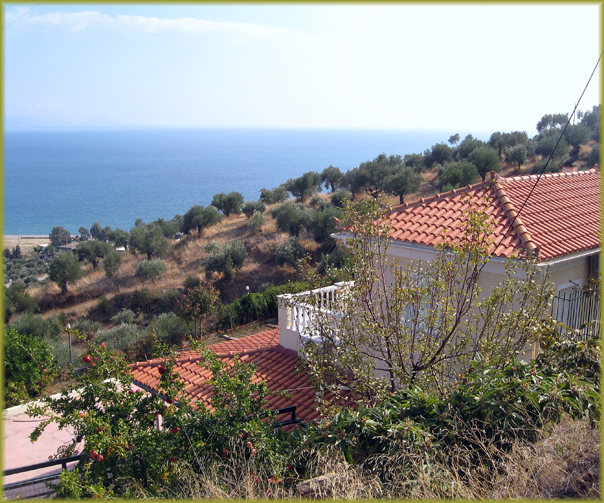 This secluded spacious villa sits on an acre of land, nestled in our family olive orchards with breathtaking views of the mountains and Aegean Sea. With ample room for up to nine residents, this villa has 3 bedrooms, living room, kitchen, large living room with fireplace and 2 bathrooms. 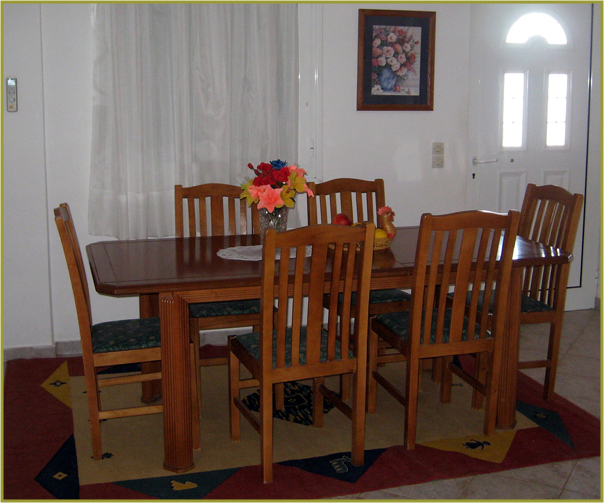 There is also a large yard with tables and chairs. You may take a walk through the gardens and olive groves. A beautiful sandy beach is just minutes away. 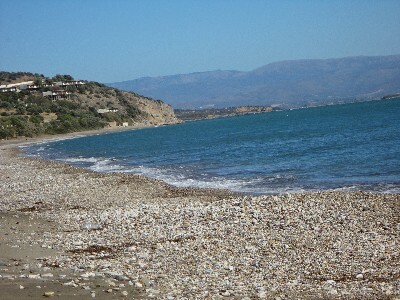 Take your car or a leisurely walk to the nearest village (1 mile), taverns, fishing boats, shops. Ideal for hiking, fishing, snorkeling or exploring! Then return to your home for peace and relaxation. YOU WILL NOT BE DISAPPOINTED. 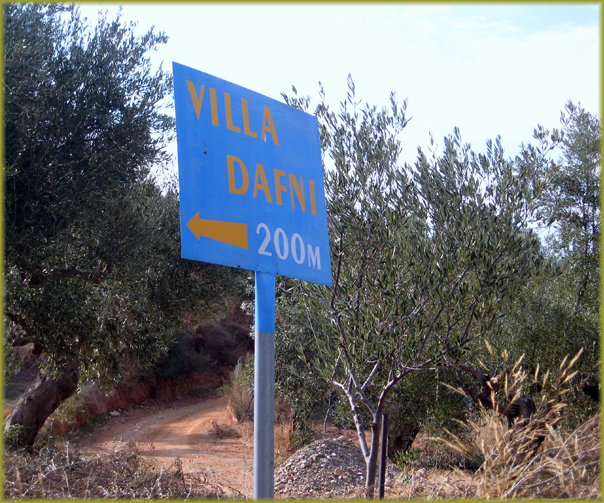 I have rented houses all over Europe and Villa Dafni is not only a beautiful house on a spectacular site, but it is a terrific deal as well. 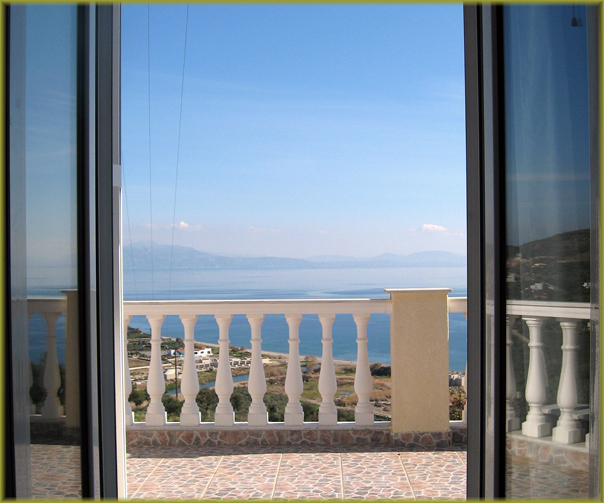 The house is situated on a hillside overlooking the Aegean. The view of the bright blue water with a background of mountains is not something you will soon forget. The beach is within walking distance (actually there are many beaches close by- pick your favorite) and the town is only 1 mile down the road. 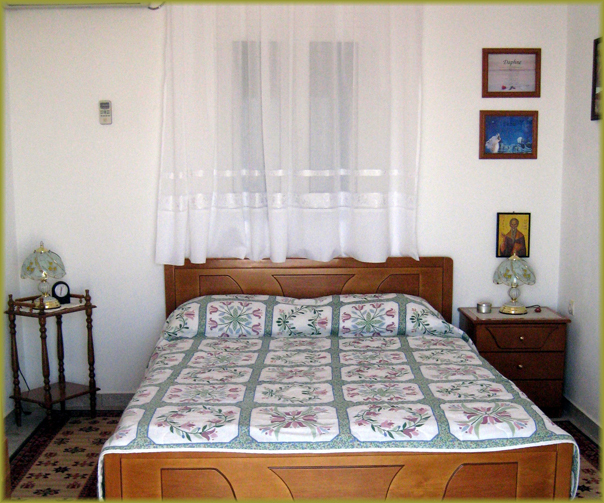 The villa is modern, well appointed and comfortable. 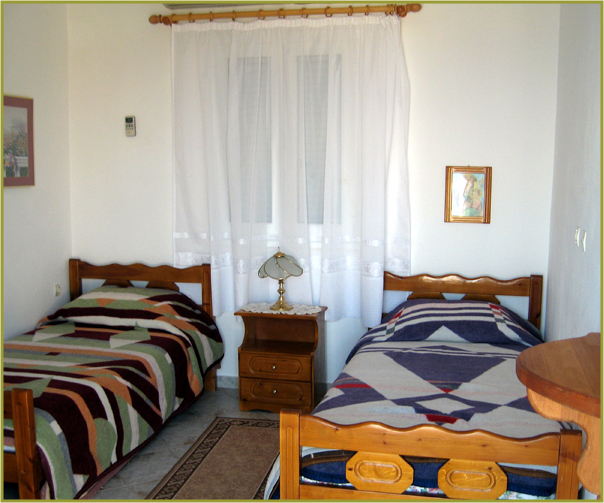 Very good heating and A/C system in each room. The kitchen is well equipped and functional. The photos on the website do not do justice to the views or overall beauty of the site. Although there are many wonderful historic sites to visit on day trips, you will find it hard to leave the terrace. I enjoyed hiking the steep hills which appear to be one continuous olive grove. We drove to Olympia and the Temple of Apollo on a day trip. Many other quaint villages and historic sites are nearby. The house is at the end of a long, winding private road. It is, therefore, private and quiet. The town of Gythio is a gem. Waterfront restaurants, tavernas, bakeries, pastry shops, etc. Wonderful meals at very reasonable prices. A nice change from the "sticker shock" of France. Although it was only my wife and I, the house could comfortably accommodate another couple and some kids. 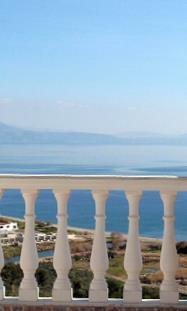 We were new to Greece, and we were "blown away" by the beauty of the "Mani". The drive from Athens is about 3 1/2 hours, but it is not difficult. Most of it is highway and the rest is pretty easy driving on well maintained roads. 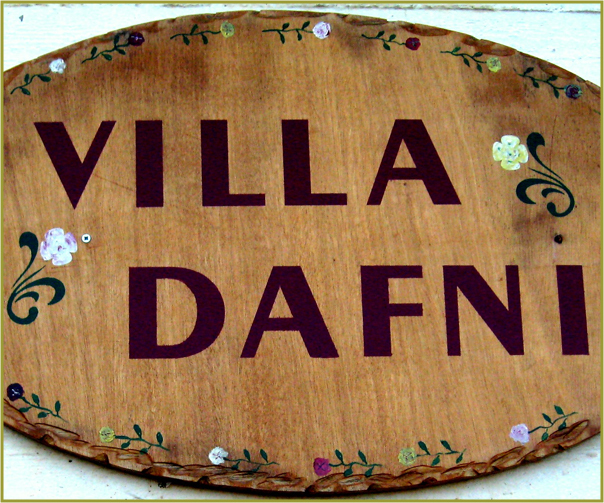 My wife and I highly recommend a holiday in this area of Greece and give an enthusiastic "thumbs up" to Villa Dafni.